MIT’s Wallace Astrophysical Observatory UROP Student Spotlight. Michaye Ledford ’19 says her passion for planetary science, astrophysics, and astronomy began with a unit on the solar system in second grade. 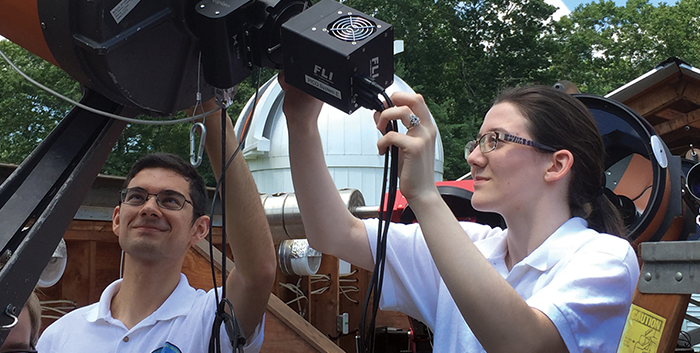 Now, as a newly declared major in Course XII, she spent the past summer living her dream, working on an Undergraduate Research Opportunity Program project (UROP) at MIT’s Wallace Astrophysical Observatory (WAO) in Westford, MA. Advised by WAO director Michael Person, Ledford has had her telescopes trained on Triton, one of Neptune’s moons, studying it in preparation for a stellar occultation event on October 5th, when NASA’s airborne observatory SOFIA will observe Triton occulting star UCAC4 410-143659. 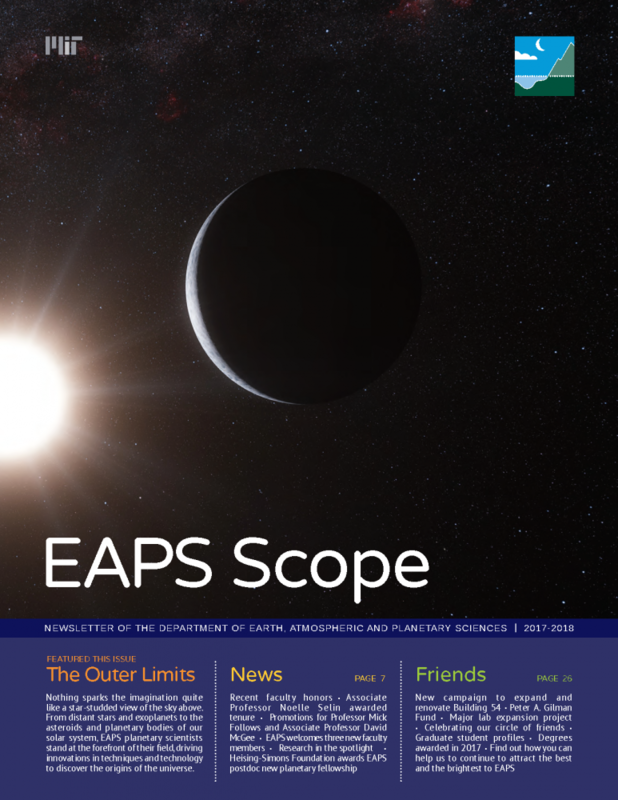 Person, a research scientist in the MIT Planetary Astronomy Lab in EAPS, specializes in predicting and observing stellar occultations by small bodies in the outer solar system. These fascinating objects exhibit unique physical processes, and lessons learned from them can be applied to understanding what occurred in the outer solar system during its formation and early evolution. Like its near-twin Pluto, Triton has a nitrogen atmosphere in vapor-pressure equilibrium with surface ices. Using techniques pioneered by WAO’s previous director, James Elliot, which ultimately demonstrated seasonality on Pluto, atmospheres are most sensitively probed from Earth using stellar occultations, revealing the temperature and pressure profiles of these atmospheres at a spatial resolution of a few kilometers. Ledford’s work this summer lays the groundwork for making such measurements in the coming semester. But there’s always plenty to pitch in with at WAO, and this summer Ledford found herself helping out with the installation of the new telescope [see story, left] which will more than double the light-gathering power previously available to students. With the able assistance of undergraduates like Ledford, the telescope is expected to see its first light in the early fall. Michaye Ledford grew up near Tulsa, Oklahoma. When she’s not stargazing, favorite activities include cuddling with her cat, reading (and writing) sci-fi, and (sometimes) playing videogames.